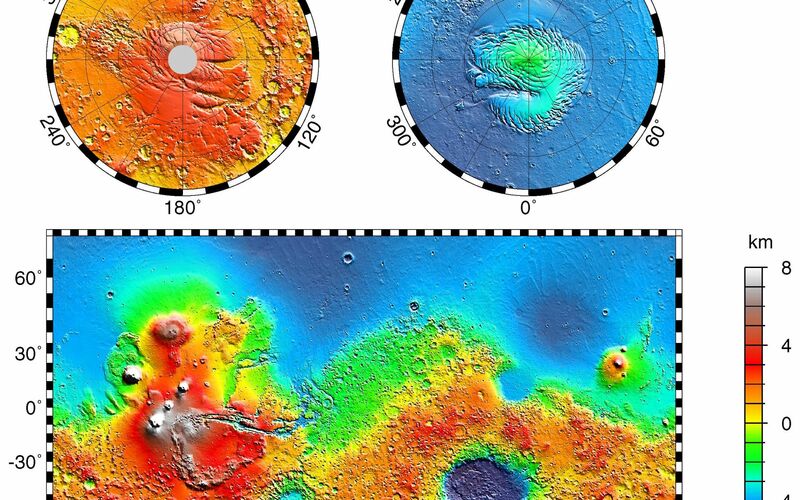 Maps of Mars' global topography. The projections are Mercator to 70° latitude and stereographic at the poles with the south pole at left and north pole at right. Note the elevation difference between the northern and southern hemispheres. The Tharsis volcano-tectonic province is centered near the equator in the longitude range 220° E to 300° E and contains the vast east-west trending Valles Marineris canyon system and several major volcanic shields including Olympus Mons (18° N, 225° E), Alba Patera (42° N, 252° E), Ascraeus Mons (12° N, 248° E), Pavonis Mons (0°, 247° E), and Arsia Mons (9° S, 239° E). 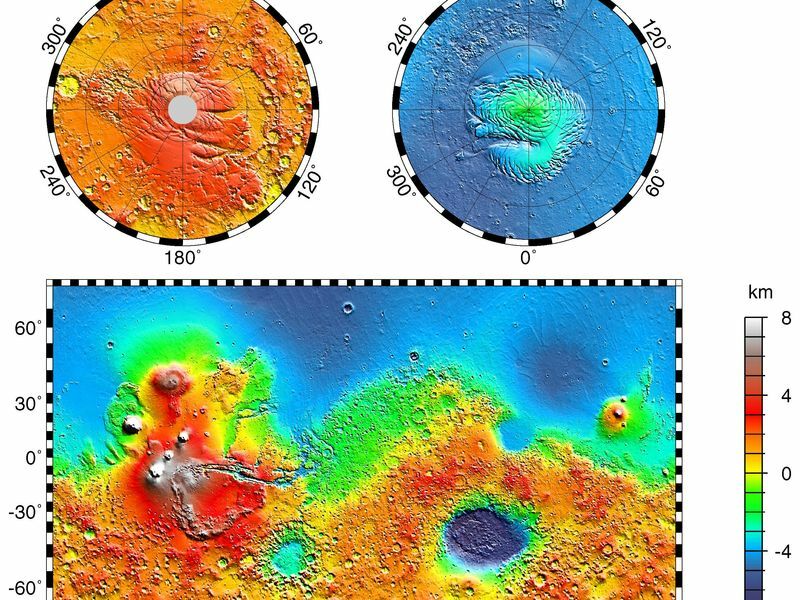 Regions and structures discussed in the text include Solis Planum (25° S, 270° E), Lunae Planum (10° N, 290° E), and Claritas Fossae (30° S, 255° E). 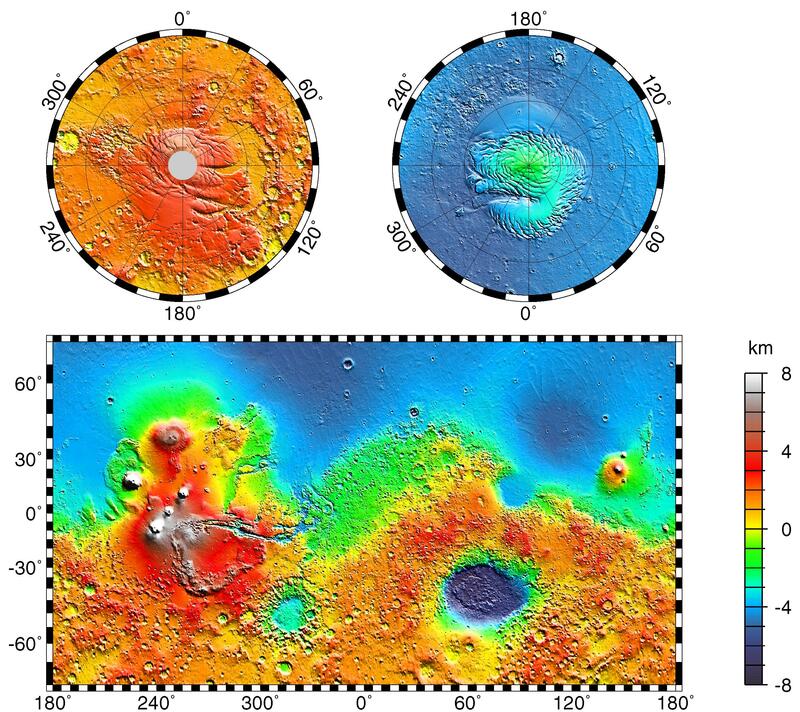 Major impact basins include Hellas (45° S, 70° E), Argyre (50° S, 320° E), Isidis (12° N, 88° E), and Utopia (45° N, 110° E). 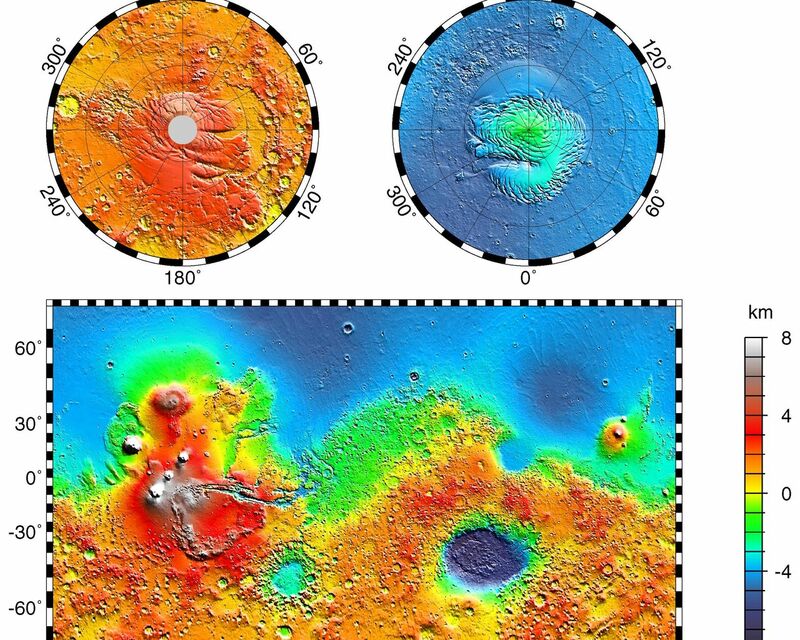 This analysis uses an areocentric coordinate convention with east longitude positive.